Currently, we are pulling together information on creative classes, events, fairs and posting interviews with creative people. We plan on hosting creative classes ourselves too and bringing together a lovely community. We are hosting a party on Saturday 26th April from 4-9pm at Tikitano near Estepona to celebrate the launch of the site. 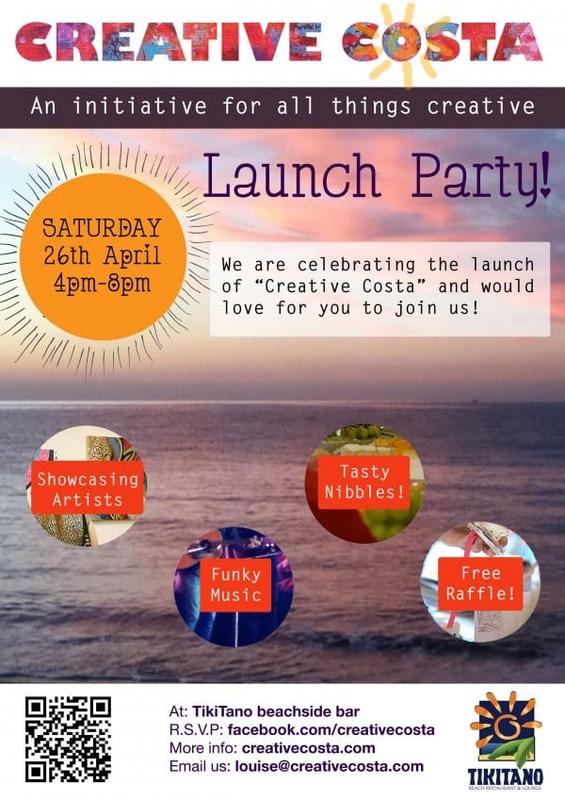 We are celebrating the launch of Creative Costa and would love for you to join us. Creative Costa is an initiative to connect all things creative on the Costa del Sol and beyond! The website will feature creative people, classes and events as well as inspiration for all who would like to be more creative. We hope you will join us at the beautiful new beachside bar at TikiTano on Saturday 26th April to meet some lovely people and watch the sunset over the ocean. – great people to meet!